While a car seat cover can certainly save your upholstery, there are other precautions you can take before Fido even jumps on the seat to reduce wear and tear on your car, home and nose! Some dogs will claw, chew and rip through anything they can, including cheaply made dog car seat covers. (If you’ve ever had a cheap, flimsy cover that soaks your seats, you know what we mean). However, we did take pricing into consideration for our budget-conscious readers. The 4Knines Dog Seat Cover With Hammock wins our top spot as the best dog car seat cover. You may pay a bit more for 4Knines’ products, but it’s hard to beat their quality, durability and ease of use. This dog car seat features everything you need — it’s waterproof (GSM rating over 190), doesn’t slip out of place or bleed onto your car seats, and is easy to set up and remove for cleaning (and durable enough for vacuums, hoses and washing machines). This rear seat cover comes in a regular size that fits most cars and SUVs or an extra large size designed for full-size trucks and huge SUVs. 4Knines also offers a custom rear seat, a front dog car seat and a cargo liner — all of these products are tops in our book. We also love that the company owners donate $1 from every seat sold to the ASPCA. All of 4Knines products come with a lifetime warranty. Each product is available in black, gray or tan. Plush Paws comes in a close second in the battle of the best pet car seat covers. This rear seat cover with hammock shares most of the same excellent features as our top pick — it’s waterproof-rated, consists of quilted heavy duty material with no dyes or chemicals, has a non-slip backing, is machine-washable and includes a lifetime warranty. The main difference between Plush Paws and 4Knines is in installation. Although the Plush Paws seat cover comes with two harnesses and seat belt adapters, several consumers had trouble installing Plush Paws. This may not be a major deal-breaker for most, but it’s something to consider if you plan on washing your seat cover frequently. All of Plush Paws pet car seat covers come with a lifetime warranty. The BarksBar Luxury Pet Car Seat Cover is a good choice if you don’t feel like forking out so much dough for our top two picks — it’s one of the best dog seat covers for cars in its price range and a popular choice on Amazon. While some consumers complained about fraying straps and the cover starting to rip after a lot of use, this seat cover is as durable as you’re going to find at less than $50. The following pet accessory manufacturers didn’t make it into our top three picks, but the products we review below are still worthy of consideration if you’re looking for alternatives. Are you looking for a budget-friendly dog cargo liner for your hatchback or SUV? The Arf Pets Cargo Liner Cover could be just the ticket. At half the price of premium cargo liners (like our top two companies carry), you get a quilted, padded, durable dog cargo liner that doesn’t slip around or bleed and is waterproof. A potential drawback of this cargo mat is its length. It will completely cover hatchbacks and standard SUVs, but it’s not long enough to cover your entire cargo area if you have a larger SUV, especially if you have all the back seats down. The URPOWER Pet Front Seat Cover is a budget-friendly choice if you don’t want to pay premium prices. This seat cover is perfect for your front seat or any bucket seats in your vehicle. The URPOWER, made of heavy-duty polyester, is durable enough for any size dog. This seat is a breeze to install with quick-release buckles for the headrest and backrest and seat anchors. Although we didn’t find any complaints about the material ripping, some consumers reported that the straps break easily and the waterproofing is faulty. Why Invest In A Quality Dog Car Seat Cover? Check out this informative video from 4Knines (our number one choice) about why heavy-duty, high-quality pet car seat covers are worth the money. What Other Dog Car Accessories Do You Need? 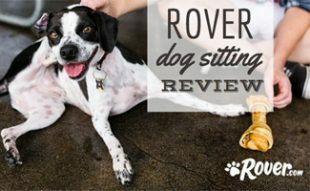 Now that you’ve read our reviews on the best seat covers for dog hair and muddy or wet dogs, you may be wondering what else you need for your vehicle. 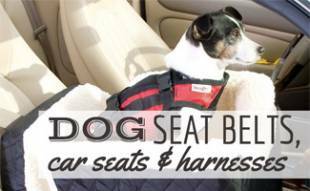 If your dog is a regular rider in your car, there are several other accessories available to make your life easier. 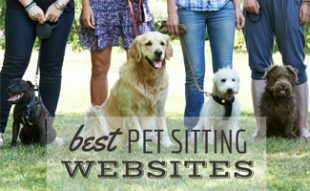 First, read our tips for traveling with dogs to get some ideas of what you might need the be sure to check out our recommendations for the best dog seat belts, car seats and harnesses. 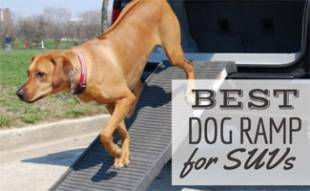 We also reviewed SUV ramps for dogs to help them get in and out safely. It’s crucial to keep your pup safe (and your car clean). What car seat covers or other protection would you recommend to fellow dog owners? Why is your cover better than others I have looked at? It sure does not have the features of some of the cheaper covers! I like the covers with the ability to unzip the front flap so some one can sit back there with the dog. I also like the mesh center for ventilation and where the dog can see me. Your cover is missing the door protector flaps also. Seem you come up short on features. I have leather seats which are easy to clean but still my dog sheds like crazy. I’ve tied putting a towel down to help but it doesn’t stay in place and only makes it worse with hair flying everywhere. Going to try the front seat one so my little guy can still sit next to me when I drive.